The HTC Endeavor has hit the web once again, with its ROM leaking spec details left, right and centre. with a Sense 4.0 overlay. 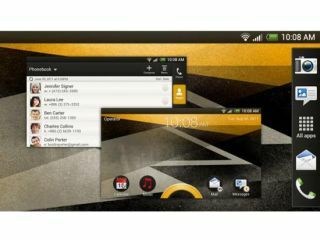 As well as confirming its quad-core Nvidia Tegra 3 chip, the leaked ROM also details a 720p resolution display, Dropbox integration, Wi-Fi and Bluetooth 4.0. Camera-wise, the Endeavor will offer an 8MP main camera and a 1.3MP front-facing camera. But enough of that, what about Sense 4.0? Well, you're in for a treat! There are screen-shots galore from the ROM Utility Update, showing off a redesigned interface, with new lockscreen options, nicer looking widgets and generally a more-polished looking experience. It's the last couple of weeks for new phone rumours before they all land at MWC 2012 so expect to hear more from the HTC Endeavor and HTC Ville before the month is out. As usual, TechRadar will be hitting MWC in force so stay tuned for our hands on HTC Endeavor review, coming soon.